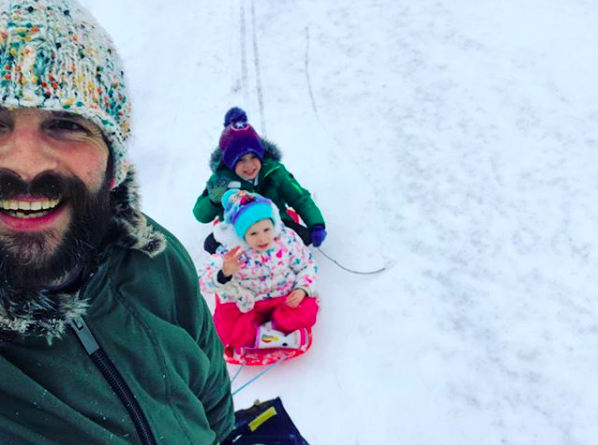 Daddy picked the kiddies up with the sledge after school, he said their faces were a picture. I bet they loved it. He then took them to the skatepark and they did some stunts. Great idea. Apparently a couple of boys said he was a cool Daddy and they had a go too! Community skatepark Dad! ha-ha.